Dental implant dentures offer tremendous benefits over old fashioned dentures. Dr. Nugent is a leader in dental implant therapy and can help patients eliminate the problems of old fashioned dentures. Dental implant dentures offer tremendous long term value for patients who need to replace all of their teeth. Dental implant dentures eliminate these problems because they “lock” onto dental implants. The dental implant are securely anchored in the jawbone. Therefore the dental implants keep the denture extremely stable. The implant dentures do not move during speech or when eating. The implant dentures are stable so they do not rub on the gum tissue creating sore spots. No messy denture adhesives are needed as the implant dentures are stable. Dental Implant Dentures offer increased stability, support and comfort. Patients who wear dentures are constantly thinking about when their dentures are going to fall out when they talk, sneeze, eat or laugh. This is because old fashioned dentures merely rest on the gum tissue. The dentures are not supported in any way. 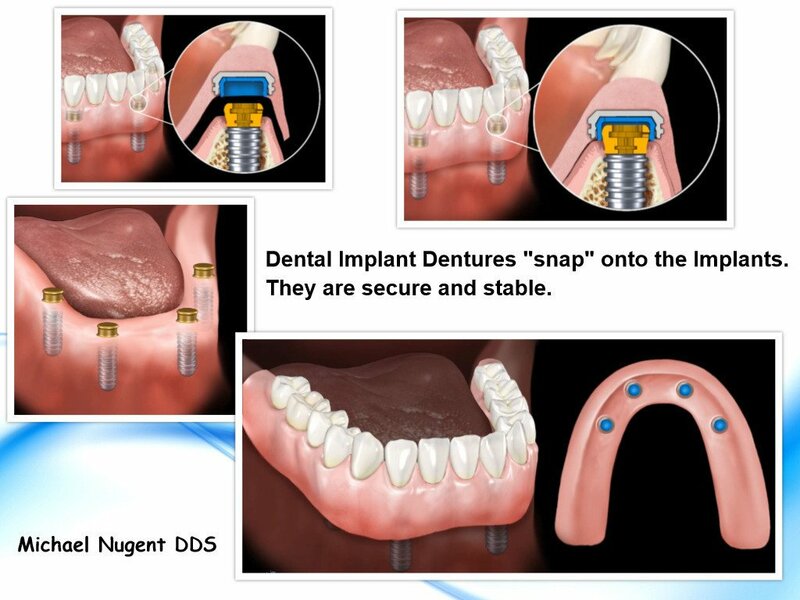 With dental implants Dr. Nugent can create dental implant dentures. These dentures lock onto dental implants to create exceptionally stable dentures. This is due to the fact that the dental implants are fused to the jawbone. The dental implants provide secure anchor points for the dental implant denture. 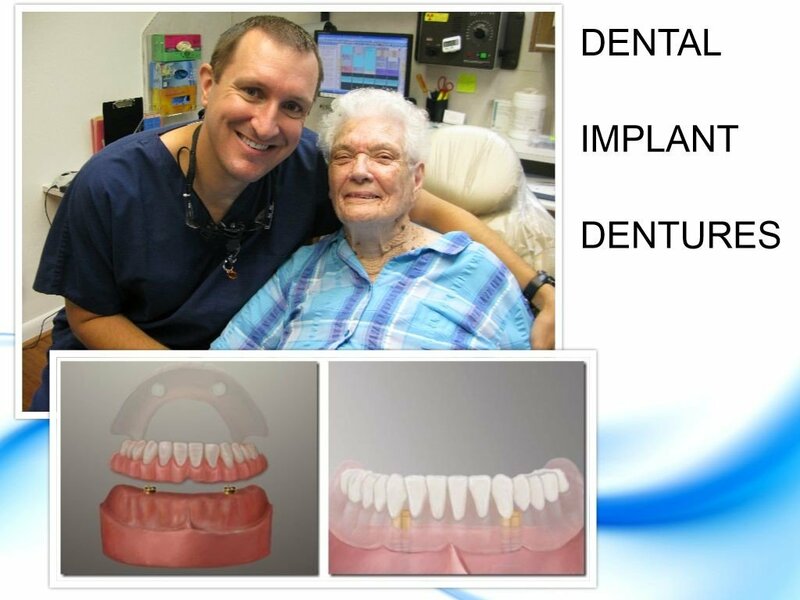 Patients love the sense of security that dental implant dentures create. Dental Implants can improve the taste of food. 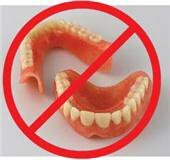 An old fashioned upper denture is bulky and covers the roof of the mouth. This blocks the palate. Therefore, food can lose its taste. Replacing teeth with dental implants will prevent patients from going into dentures. When teeth are replaced with dental implants there is no bulky plastic covering the palate. If a patient is already in an upper denture, Dr. Nugent can use dental implants to replace the denture entirely or Dr. Nugent can remove the bulky center of the denture. Dental Implants eliminate the need for messy denture adhesives. Dental implant dentures lock onto dental implants. This creates an extremely stable base and support for the denture. The denture does not move as it is locked onto the dental implant. The dental implant is fused into the jawbone. No more messy denture adhesive is needed. Dental Implants preserve bone and facial contours. 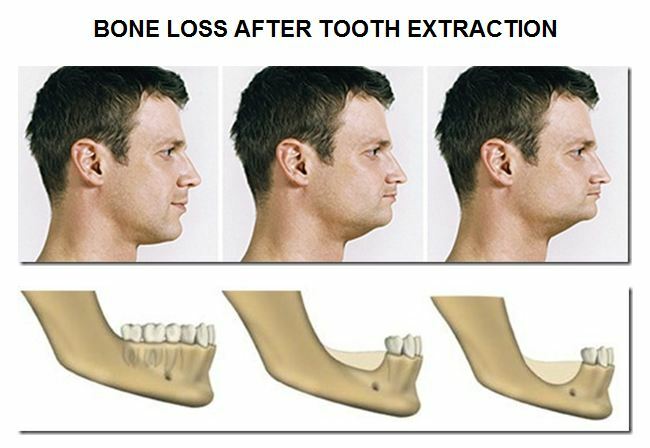 When the teeth are lost the supporting bone quickly disappears and the bone loss continues throughout life. The bone is vital to keeping facial contours and avoiding a pre-mature elderly appearance. Dental implants are the only way to stop the bone loss from missing teeth. When a patient evaluates the cost of implant dentures, the patient must consider the significant long term advantages of implant dentures over old fashioned dentures. 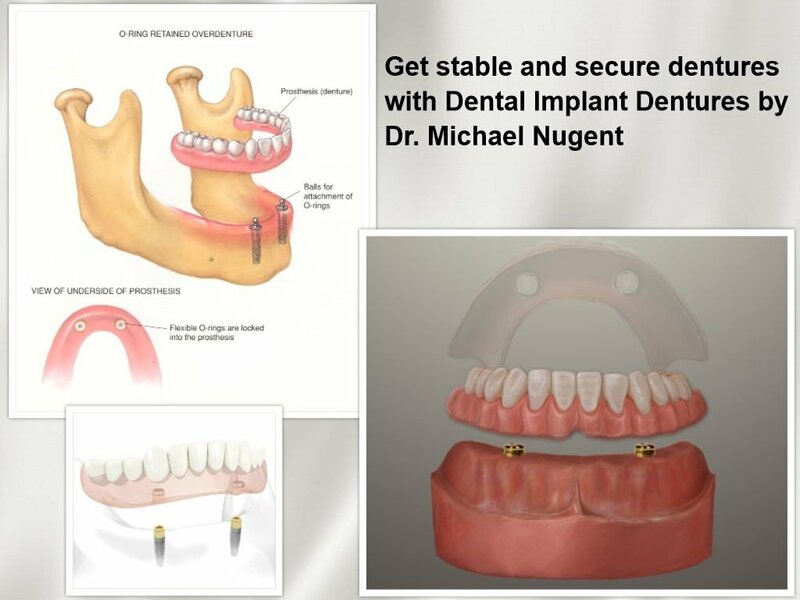 Dr. Michael Nugent is a leader in dental implant therapy. See how he can help you obtain your optimal dental health. Come visit us at 3421 Burke Rd Ste A, Pasadena, Texas 77504.